Michele Caldwell was born in Louisville, KY and traveled the eastern US throughout her childhood. She received her Associate Degree in Nursing at Elizabethtown Community College in Elizabethtown, KY in 1993. 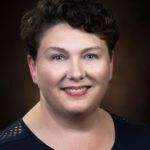 She practiced nursing for many years before returning to school and receiving her Bachelor of Science in Nursing at Michigan State University in 2005 and Masters of Science in Nursing at the University of South Alabama in 2009. She is board certified as an Acute Care Nurse Practitioner. Memberships include American Nurses Association, Florida Association of Nurse Practitioners, and American Academy of Nurse Practitioners. She is currently studying at The Institute for Functional Medicine.